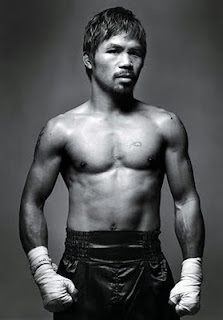 THIS is one of the best profiles on our Pambansang Kamao, Manny Pacquiao yet. The thing is, a number of people have stolen from Manny, been caught by Manny, then been forgiven by Manny: Never has a fighter been possessed of so pacifistic a nature. What's more, there seems to be a consensus that these redeemed-Judas tableaux were… pre-scripted. "He has made numerous people in his camp believe in God with what he's done," Ramos says. "Do you understand?" Abac Cordero puts it more directly: "I think he was put here to make us better men. There is a feeling that those who betrayed him had to, so that Manny could teach them."